But it is coming this year. 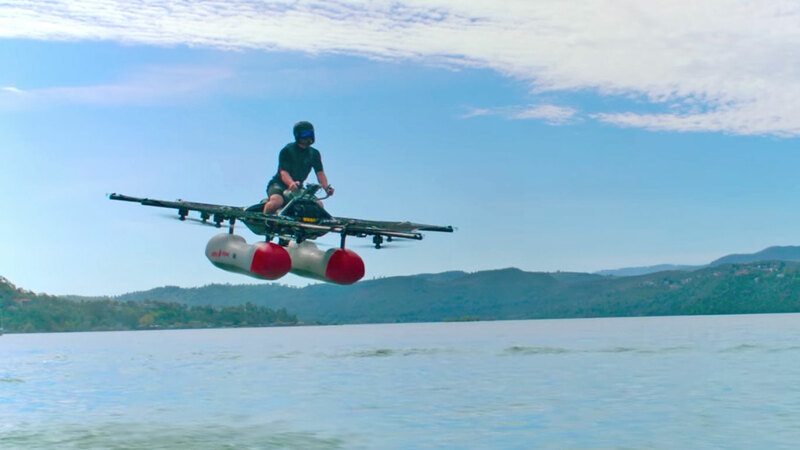 That flying car startup Google's Larry Page is backing? It's finally showing its hand... and the company's initial product is both more and less than what you might expect. Kitty Hawk's first publicly demonstrated vehicle, the Flyer, isn't so much the flying car of sci-fi fame as a recreational vehicle. The one-seat, propeller-driven vehicle is meant for a short flight across lake when you're at the cottage, not commuting to work -- that Jetsons-like future isn't here yet. You won't have to wait long to get it, though. Kitty Hawk expects to start selling the Flyer by the end of 2017. This will be a practical reality within months, in other words. You can already put down $100 to sign up for a $2,000 discount on the finished machine. Page's investment wasn't just focused on this one product, of course. Kitty Hawk notes that there are several prototypes in the works, and this is more a "vision of the future" than the sum total of its plans. The focus on over-water flights is intentional -- it's meant to reassure Federal Aviation Administration officials worried that unlicensed pilots will be flying over populated areas. The company wants to work with the FAA to enable more ambitious vehicles, but it would rather play it safe in the early stages. Kitty Hawk might want to hurry. Airbus may test a more practical flying car by the end of the year, Ehang wants to fly passenger drones in the summer, and personal jets are becoming viable. While the Flyer may become an honest-to-goodness product relatively quickly, it's not the people carrier that others are promising. Kitty Hawk may need to move fast if it wants to fend off its flying car rivals.